You’re on an overcrowded subway train. You’re totally packed in. At the next stop, people are pushing their way through to the door, and you get shoved pretty hard, feel really hot and a bit faint. You’re beyond stressed. You worry this might happen again. Maybe you start avoiding the subway; maybe you switch to Uber. It’s not sustainable—you just don’t have the budget—so you work from home when you can. How are thoughts, feelings and behaviours connected? We often notice our feelings first. Feelings of anxiety can come from a desire for control, over our environment, over people, and it’s hard to feel in control when you’re packed like a sardine into a subway. Your thoughts about taking the subway, such as “I’ll pass out if I ride it again” or “I can’t handle the crowds,” lead to feeling anxious. Feeling anxious leads to altering your behaviour—like finding a new way to get to work. Our thoughts, feelings and behaviour are all related. This is the core principle behind Cognitive Behavioural Therapy (CBT). If you can recognize and change your thinking about something that’s upsetting you, you can start to change how you feel about it and your behaviour toward it. CBT is a form of psychotherapy that can help with depression, anxiety, post-traumatic stress, and a number of other mental health concerns. It’s most effective when guided by a qualified mental health professional who tailors your therapy to you and your progress. Unlike other forms of psychotherapy, CBT focuses on developing a skill set so that you learn healthier patterns of thinking. With CBT, you might stop yourself when you feel anxious about the subway, and examine your thoughts. You’ve ridden the subway for years and you’ve never been so stressed out before. Perhaps the overcrowding was due to uncommonly bad delays. You remember you often enjoy reading a book on the way to work. The skills CBT helps you develop are cumulative; you build on the skills you learned in the sessions before. Whether you’re doing traditional face-to-face therapy, or digital CBT (such as BEACON), most issues require treatment for 8-10 weeks. But you need to commit to putting the work in. It’s not enough to just understand the principles of CBT; it’s about building the skills. It takes practice, just like physiotherapy exercises lead to a stronger recovery after a physical injury. Many people think they need to go back to therapy if something new happens in their life that causes them to struggle. With CBT, that’s not necessarily the case. The skills you learn can help you in many stressful situations. As with any health issue, getting better takes time. If appointments are difficult to attend, digital CBT can be the solution. We’ve seen a tremendous response to BEACON due to the flexible way it fits into people’s schedules and the relationship people have with their BEACON therapist, while truly providing CBT. What can you do to prevent depression or anxiety? We all have ups and downs. Life isn’t a smooth road. Even if you have low periods, it’s important to recognize this doesn’t necessarily mean you have a diagnosable mental health problem; however, each year 1 in 5 Canadians will experience a mental health issue. Being that common, presumably we all have a risk factor to our mental health. And there can be a lot of potential triggers that increase risk: losing a loved one or job; adjusting to a new school or city; or losing a sense of personal safety when you’re crammed into an overcrowded subway. CBT can certainly help when you’re going through a more-intense-than-normal period of stress, and prevent your concerns from becoming more severe. By being able to recognize when you’re at risk, CBT can help you prevent yourself from stressing out and help you cope. You should always feel good about taking care of your mental health, yet sometimes we face barriers to finding care: expense, stigma, or even not knowing where to start. That’s where digital CBT can come in. For example, BEACON therapy is already covered by a number of insurance providers and is a fraction of the cost of face-to-face therapy. So it’s an effective way to benefit from CBT, increasing the options people have. We want to preserve our mental health. 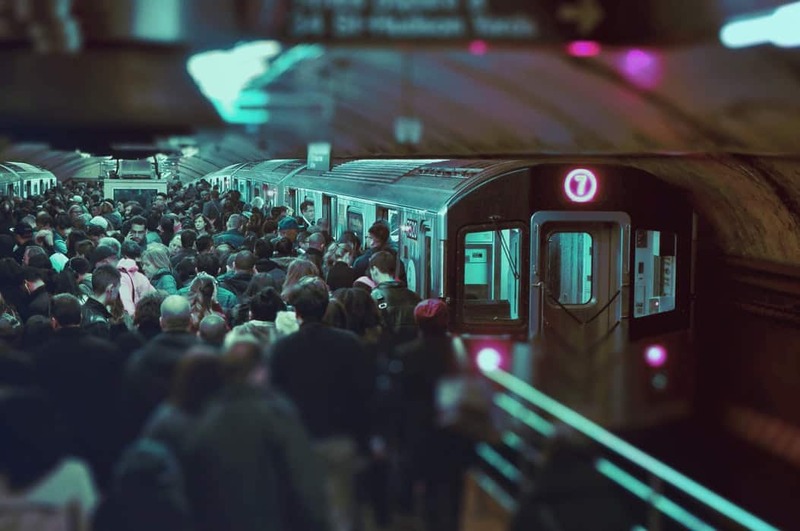 Sometimes it feels like we’re stuck in a crowded subway, but remember, you have the ability to get off at the right stop. CBT is a way to help you navigate your way forward more clearly. Dr. Khush Amaria, PhD, CPsych, is a clinical psychologist and senior clinical director of the Greater Toronto Area-based psychology practice CBT Associates, and a senior clinical director with BEACON digital therapy.